In the question above entitled: "Self Help Tutorials Question on the Nature of Physical Matter" - You wrote "at least there’s no scientific evidence that matter exists independently of a conscious observer." With all due respect, this statement is easily refuted. There is certainly scientific evidence that Earth is approximately 4.5 billion years old and there is also the scientific evidence that humans or even much more primitive life which could be considered a conscious Observer did not exist until billions of years after that. So this means that matter did exist independently of a conscious Observer. There are also constant examples of astronomical events which occurred even billions of years before the Earth was created and have traveled through space all this time before there were any conscious Observers. For example Supernova that exploded say, eight billion years ago would be proof that that matter existed prior to any conscious Observer. On an entirely different level, measurements of matter's Mass, velocity, and location can be measured by scientific instruments which do not have any consciousness. Furthermore, those measurements could be recorded during a time for example when an observer was sleeping or otherwise unconscious. This would show that there is continuity and external, objective reality independent of any particular conscious Observer. PS. by the way did you know that this webpage does not display this input window correctly in the portrait mode of most mobile phones? I had to answer this by going into landscape mode, which makes the keyboard very small and thus difficult to type. First of all my apologies for taking so long to reply; I just saw this yesterday. Thanks for your statements and comments - I’ll go through each one and answer in turn. As your entry plus my reply is really long I turned it into its own post. While it’s true that scientists "believe" the earth to be 4.5 billion years old I don’t see that as scientific proof of the objective reality of physical matter. 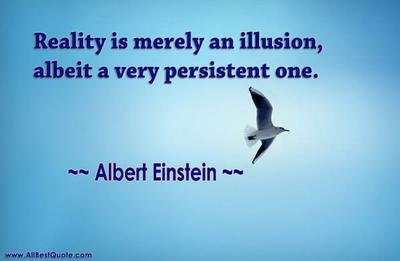 It’s merely a belief in the illusion of earth. It’s not actually irrefutable proof of anything for many reasons. Primarily, definitional beliefs always lead to so-called facts and truth and this means if you have a different definitional belief then you’ll end up with different facts and truths. For instance, just look at all of those people in the "flat earth society" who are 100% convinced that the earth is flat. They pick up on an idea, they define and believe it and then via the Internet and elsewhere they attract evidence and facts that prove to them that the earth really is flat, which in turn becomes their truth and they’ll see more evidence to confirm their truth! This is why ultimately "all truths are true" because truth always stems from definitions and beliefs. I’ve discussed this idea in detail throughout this website. When you say there were no conscious observers at the time of earth’s creation, how do you know that other beings, which have existed for billions of years, were not involved in the creation of earth and humans and thus were/are conscious observers of both earth and humans? Perhaps it’s worth thinking a LOT bigger and outside of the "box of limitations" of current reason and logic. Besides, these days I get most of my updated information from ETs and non-physical beings. So after all, from my perspective, ultimate reality does not consist of humans alone and thus to believe and think that humans are the only conscious observers is a most arrogant position. Is it not? Further, when viewing reality from the 3rd density (3D) hologram perspective you will believe in such ideas as one earth and linear time. As you shift to the 4th density (4D) hologram perspective you will realize that there are infinite versions of earth (parallel realities) and that linear time and space are illusions. You have to remember that we (our greater being) contain everything so we can and do shift between holograms until we eventually stabilize in a 4D hologram, if that's our preference. It seems that the main point you might be missing is the realization that you are not contained within a seemingly "outside" reality, but rather that reality itself is contained within you, who you really are as your core being, which is everything. Thus then, it makes no difference whether you are sleeping or unconscious because you "are" the reality that you believe you are contained within! Furthermore, all instruments and tools which are created by humans are simply extensions of human consciousness. 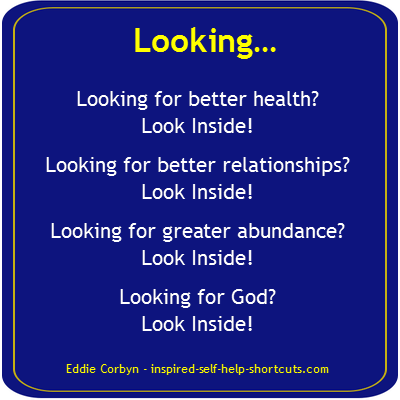 As we allow ourselves to become less and less limited we create better and better tools which enable us to see further and deeper into infinity. Nevertheless, no tools are actually necessary as we contain reality and infinity always remains infinite. And given that "time" and "space" are illusions this means that all reality is "here" and "now." However if you insist on sticking with (believing) the Newtonian mechanical worldview of reality (which denies creative design aka God) you will never be able to see this. We’ve moved on now, we’re at the quantum level. I did mention to watch "what the bleep do we know" which is a quantum scientific documentary that explains how physical matter is nearly all empty space. 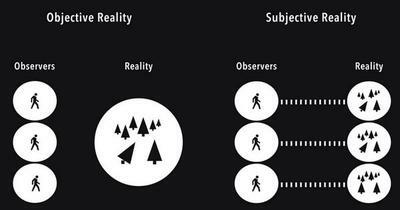 And if you watch the quantum "double slit" experiment you will see for yourself how projection of reality is determined by conscious observation. In the end it’s entirely up to you what you prefer to believe. I have no intention of convincing you of anything, I’m simply stating how reality is from my perspective! PS. The website is primarily optimized for desktop computers, although an effort has been made for tablet and smartphone optimization. I have no issue viewing the site on my Samsung Galaxy S8. Thanks for your interesting and worthwhile thoughts OE. It always pays to keep an open mind!